Excellent Condition, CARFAX 1-Owner, LOW MILES - 59,999! Tech Pkg trim. Nav System, Moonroof, Heated Leather Seats, Third Row Seat, Power Liftgate, Rear Air, Aluminum Wheels, AWD, Back-Up Camera, Great Color, Local Trade. AND MORE! 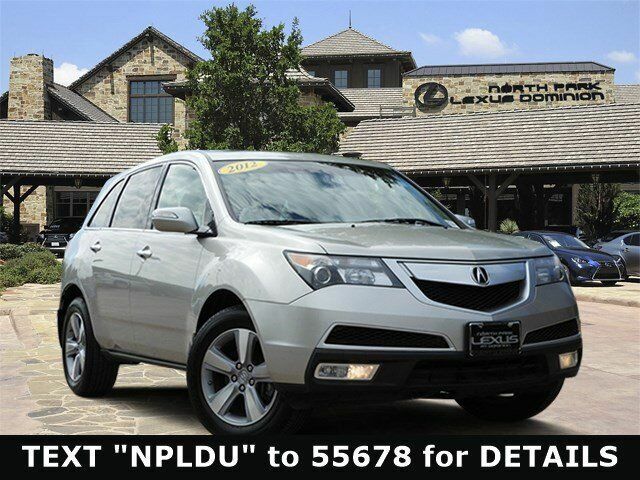 Child Safety Locks, Electronic Stability Control, Brake Assist, 4-Wheel ABS, Tire Pressure Monitoring System, 4-Wheel Disc Brakes Safety equipment includes Child Safety Locks Acura Tech Pkg with Palladium Metallic exterior and Ebony interior features a V6 Cylinder Engine with 300 HP at 6300 RPM*. Rear Spoiler, MP3 Player, Sunroof, Privacy Glass, Keyless Entry. Great Color, Local Trade. CarAndDriver.com explains "The MDX continues unchanged for 2012 yet remains one of the more agreeable luxury SUVs, with a high-quality cabin, solid road manners thanks to the trick all-wheel-drive system, and a crisp overall design. ".